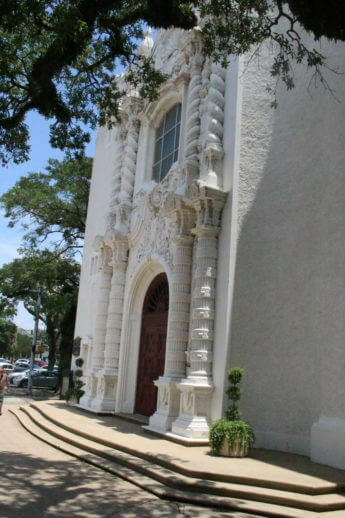 It’s been 100 years since Government Street United Methodist Church acquired the Spanish Colonial-style façade that sets it apart, but while history is important to Methodism’s oldest church in the area, its leaders are also looking to the future. Though the first church was established in 1832 as Franklin Street Methodist Episcopal Church, it wouldn’t take on its distinct appearance for another 85 years, after moving from Franklin Street to its current location at Broad and Government streets. 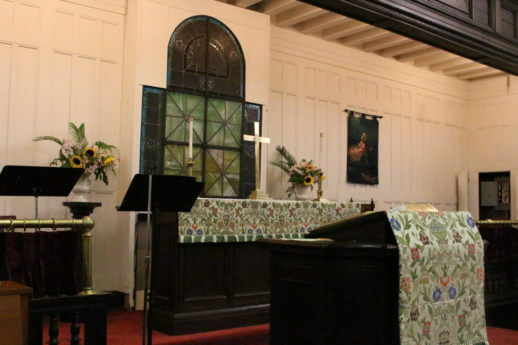 Government Street UMC — or “The Bee Hive” as it’s commonly known — will celebrate the centennial of those renovations with a special 10 a.m. service on Sunday, June 25. According to Park, the service will focus on the church’s storied history in Mobile, but more specifically address the relocation and redesign it underwent back in 1907. Today, the structure is perhaps best known for its elaborate, baroque-style façade, which features several symbols important to the early Christian church, such as the Cross of Constantine and one of earliest known symbols of Christ, the Greek Chi Rho. However, that’s not what the church looked like when its congregation moved from Franklin Street in 1890. Originally built as a Gothic structure, the congregation hired architect George B. Rogers to redesign the facility and paid Boston artist Harry E. Goodhue, a pioneer in his time, to design and install the stained glass windows and cupola that remain in the sanctuary to this day. Harry E. Goodhue, a pioneer in 1906, designed and installed the stained glass windows and cupola that remain in the sanctuary of Government Street United Methodist Church to this day. Government Street United Methodist Church. 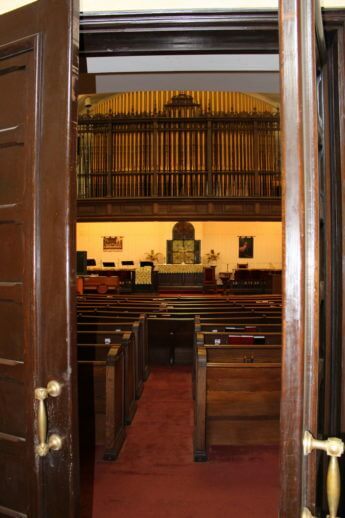 The largest two-manual pipe organ still functioning in Mobile is located at Government Street United Methodist Church. 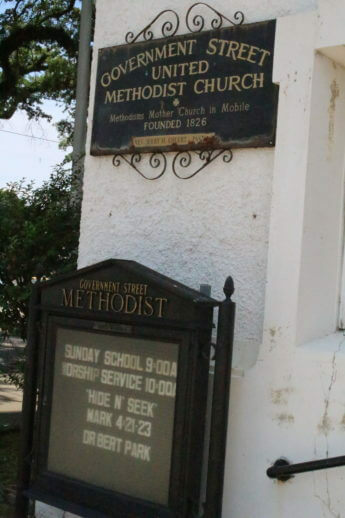 Located at the intersection of Broad and Government streets, Government Street United Methodist Church has ties to the first Methodist missionary who came to Mobile. 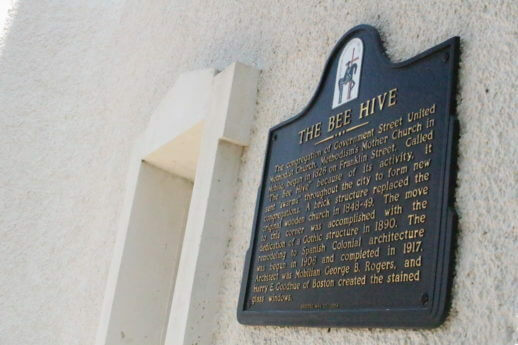 Because of the busy activity associated with its growth in the 1900s, Government Street United Methodist Church gained the nickname "The Beehive." 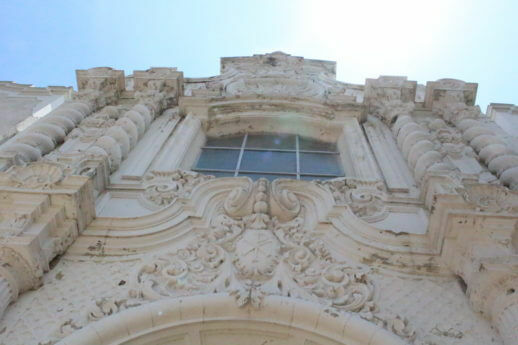 The structure is perhaps best known for its elaborate, baroque-style façade. Complected by architect George B. Rogers, it features several symbols important to the early Christian church. Another piece that will be featured at the centennial celebration is the organ — the largest two-manual pipe organ functioning in Mobile. 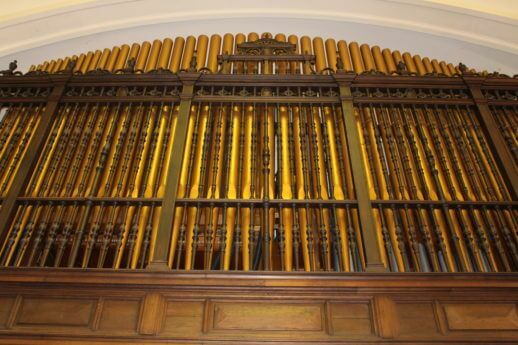 However, Park said, the church didn’t realize the organ’s historic significance until a man walked in during Mardi Gras this year and asked to play. Adkison will be playing the organ as part of the June 25 centennial celebration. Like the city it was built in, the size of The Bee Hive’s congregation has fluctuated with the economic and societal changes of the past 100 years. When the Methodist missionary came to Mobile in 1819, there were almost no Protestants in the predominantly Catholic city. Park said that’s why the first facility on Franklin Street combined parishioners from Methodist and Episcopal backgrounds. With World War II and the jobs created by Brookley Air Force Base and local shipyards, the number of Protestants grew, and so did The Bee Hive, at one point seeing average attendance of 300. However, since Brookley closed in 1969, the challenges of an inner-city location and a westward-moving population didn’t spare the church. 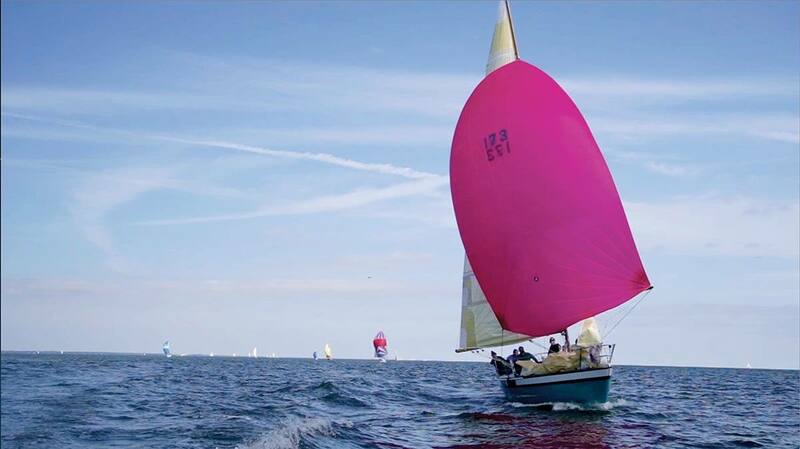 Its numbers began to dwindle, and last year an average of just 25 people attended regular services, according to Park. 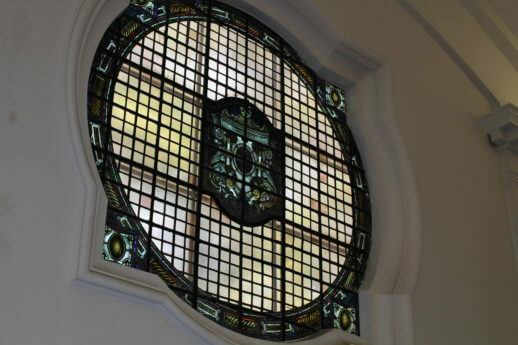 The importance of the church’s legacy in the area has not been forgotten by Methodist leaders, though, who in the past have made grant funding available. Park jokingly says he’s been sent in on “4th down with 55 yards to go to throw a Hail Mary pass” that might keep The Bee Hive afloat. Yet, Park seems hopeful, and said the number of church members has grown to something closer to 50 in the past year. Plus, with continued growth downtown and a $14.5 million Broad Street revitalization on the horizon, Park believes it’s as good a time as any to return The Bee Hive back to its former prominence as the neighborhood church of the Oakleigh District.